South African singer-songwriter and artist will be making his way to eMalahleni. 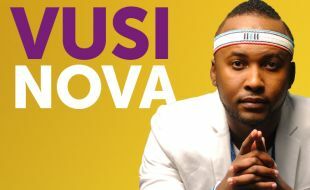 Since hitting the music scene, Vusi Nova has continually expanded his horizons, singing through Africa and having the privilege of sharing the stage with big names such as Femi Kuti, Kenny Latimore, James Ingram, Pharrel Williams, Kem, Johnny Gill and D’Banj. Get ready for a one night only with this sensational singer. Vusi Nova will be performing his heartfelt album on the night making sure you fall in love again. This promises to be the re-birth of Nova as he takes his rightful position as the `Best Voice` in SA.